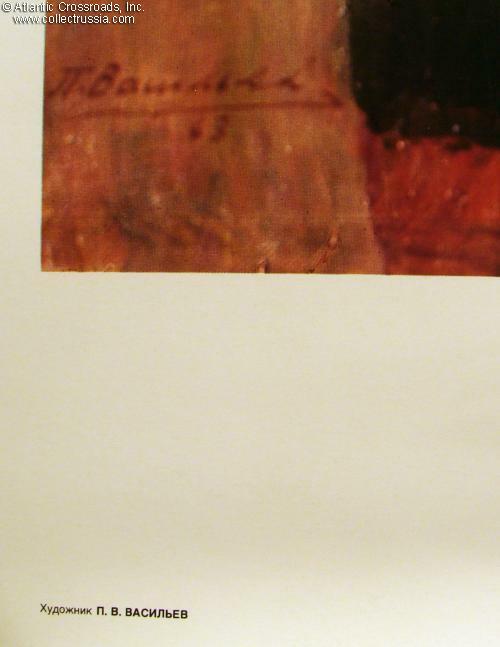 Lenin portrait print, artwork by Vasiliev, dated 1988. This big high quality poster is printed on heavy glossy stock, measures 19 1/4" x 26". 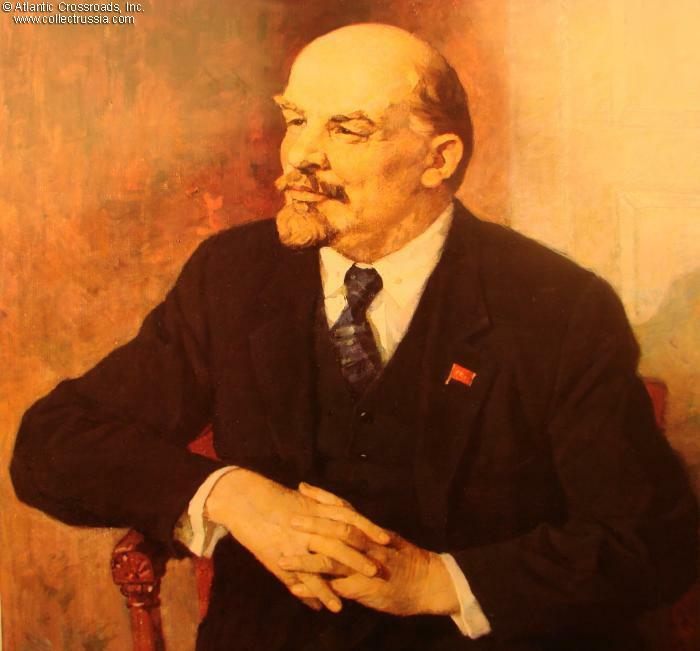 The original artwork was created in 1963 by an acclaimed Soviet artist Pavel Vasiliev who specialized in Lenin's portraits. 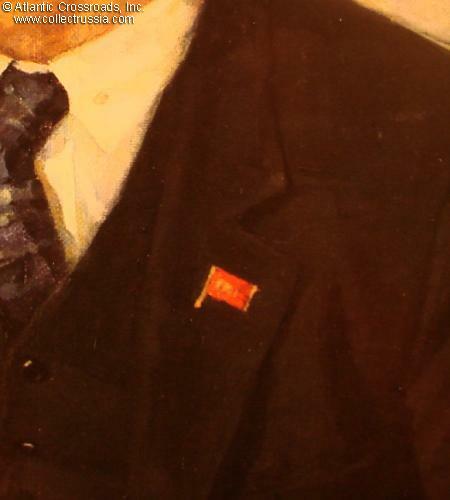 In this particular painting a benevolent and contented Lenin wears one of the earliest Soviet pins - a membership badge of VTsIK (Central Executive Committee), the first Soviet government. 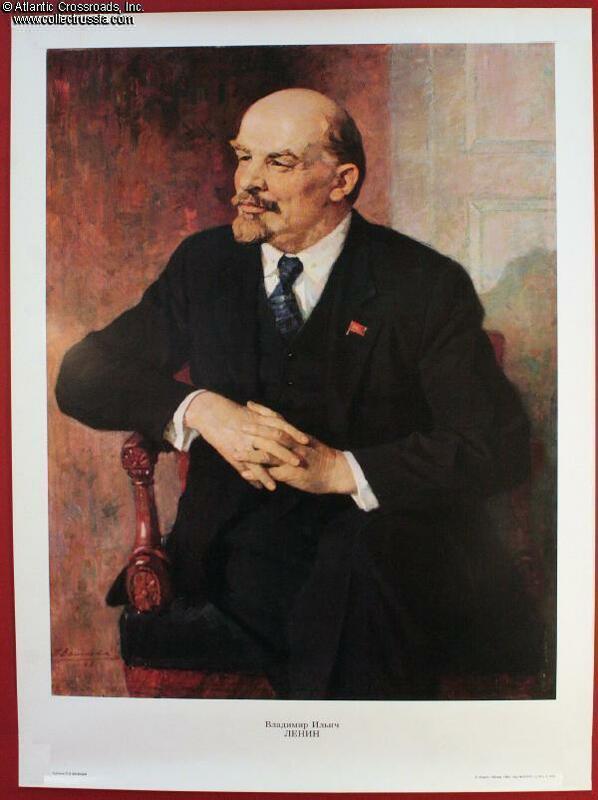 This was incidentally the only decoration that Lenin reportedly wore with any frequency. Intended for display in government buildings, schools, and even the homes of the communist party faithful. In excellent condition, ready for framing. It has been stored rolled and will be shipped in a cardboard tube.